Would you rather drink a cup of recycled wastewater or advanced purified water? Actually, that’s a trick question – both terms are often used to talk about the same thing. But when it comes to public acceptance of the practice, the language you use makes a big difference. And so does education about how the process works. Those are some of the things that have helped shift attitudes in California around potable reuse (drinking wastewater that has been purified for drinking). But it’s been a long road to get there and a few bumps remain. Decades ago, the idea of treating wastewater to drinking water standards was met with resistance and it earned the unfortunate moniker of “toilet to tap” in 1995, which became widely touted in defeating proposals to purify recycled water for drinking in Southern California in the 1990s. But Orange County paved a different way forward for California by using indirect potable reuse – treating wastewater to drinking water standards and then putting it back underground to mingle with water in the aquifer before being pumped back out for drinking. Add to the equation another multi-year drought (just entering year six) and increased pressure on water sources from climate change and competing interests, and many Californians now seem ready to welcome recycled water into their homes. San Diego and Silicon Valley are both on their way. In January, the water technology company Xylem conducted a survey of 3,000 Californians to gauge their support of water recycling. Water recycling can mean water treated for non-potable purposes, such as industrial uses and irrigation, but in this survey it was defined to mean wastewater that had been treated and purified for drinking. Of those surveyed, 42 percent were very willing to use recycled water in their everyday lives and 41 percent were somewhat willing. The numbers increase with more information. The survey found that 89 percent of people were willing to use recycled water after receiving information about how the treatment process works. The findings are similar to what Santa Clara Valley Water District has found as they have tested their customers on the concept as well. 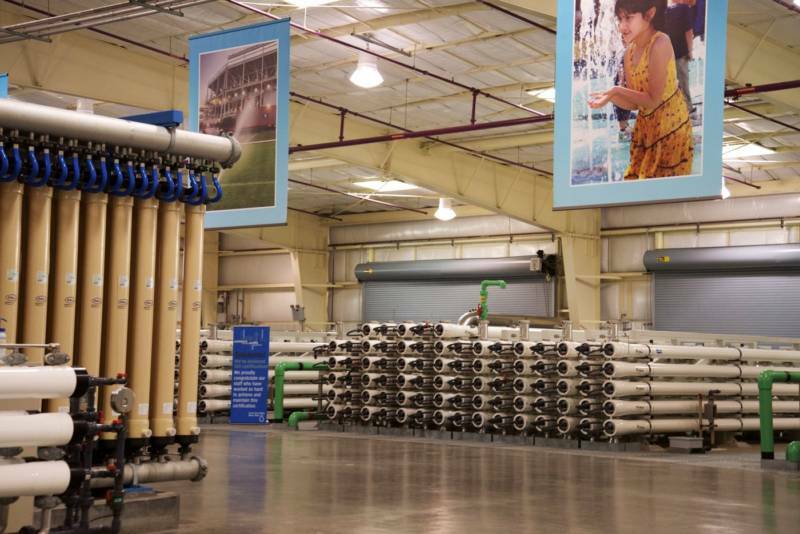 The water district has a facility, the Silicon Valley Advanced Water Purification Center, that can treat wastewater to drinking water standards, but currently the water is only used to supplement recycled water for non-potable uses such as irrigation. In the near future (likely the next two to three years), the agency may be using the water for indirect potable reuse to supplement groundwater for drinking. A survey the agency conducted in Santa Clara County in 2010 found that initially, people were pretty opposed to the idea of one day drinking recycled water – only 31 percent were in favor of it. But after being read information about how the treatment and purification process works, 53 percent were supportive. And then after being given additional information about why it’s good for the environment and helps support groundwater supplies, support rose to 69 percent. “What we learned from that is with enough information and education you can change people’s understanding and perception,” said Marta Lugo, a public information representative of Santa Clara Valley Water District. Since education is key, in 2014 when the water district opened their water purification center, they immediately kicked off a public tour program. She says that acceptance has also grown during California’s drought, and being in Silicon Valley, they are aided by having many tech-minded residents. But a 2014 survey found that the biggest factor driving public acceptance of drinking recycled water is actually concern for the environment -- the fact that recycled water is good for rivers, streams, fish, plants and wildlife, she said. The language is also important, said Lugo. People are more accepting when it is referred to as “highly” or “advanced purified water.” It’s not just semantics but an important distinction. 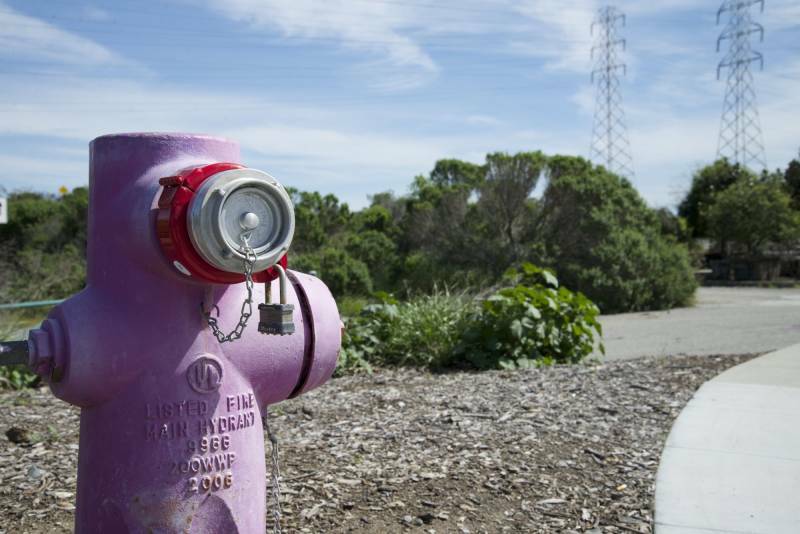 Many Californians are already familiar with recycled water that is transported in purple pipes for irrigation and industrial uses. 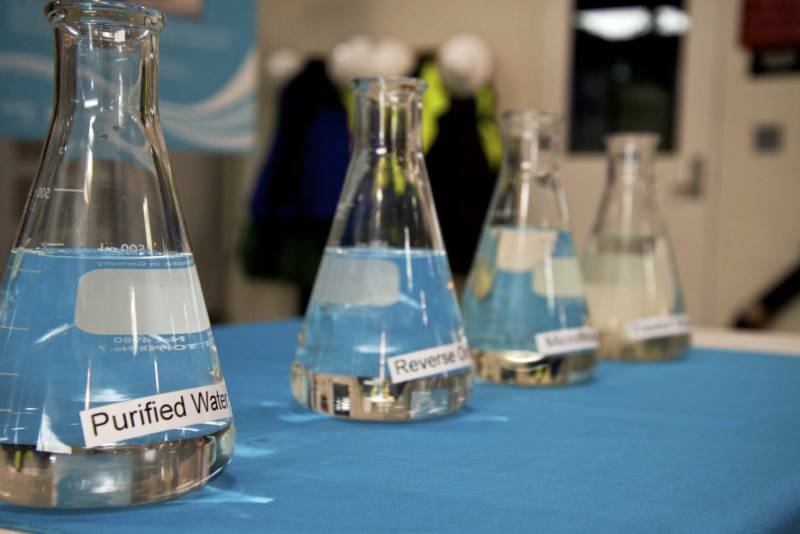 Water from the Silicon Valley Advanced Water Purification Center goes through three main processes – microfiltration, reverse osmosis and ultraviolet light. If it was to be used for drinking water, it would also receive advanced oxidation. Next year, the California legislature is likely to begin addressing regulations for direct potable reuse, which will give another boost to the idea of wastewater as part of the water supply. But it will likely be many more years before direct potable use is widespread.